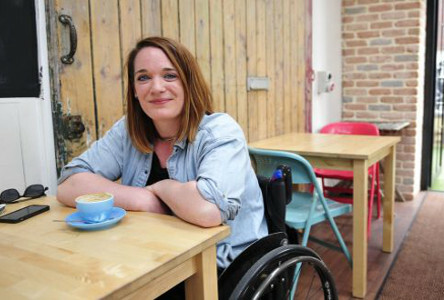 People with disabilities want ‘more access to the arts’ and venues ‘more money’ to provide access. But will asking for ‘more’ in the context of access, ever be enough? 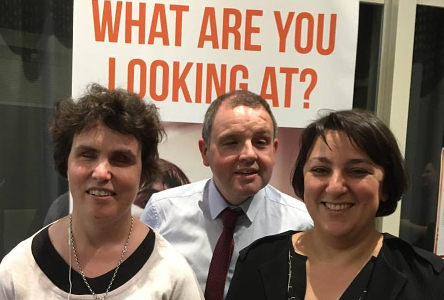 “People with disabilities want ‘more access to the arts’ and venues ‘more money’ to provide access but as I come to end of the formal learning in this journey, I find myself with one question. Will asking for ‘more’ in the context of access, ever be enough? Sounds simple but I believe identifying the specifics of ‘more’ will shape my journey as an advocate for many years into the future. This question has been informed by two key learnings from presentations given by Noel Whelan on his work during the ‘Marriage Equality Referendum’ and Denise Charlton on the ‘Turn Off The Red Light’ campaign. 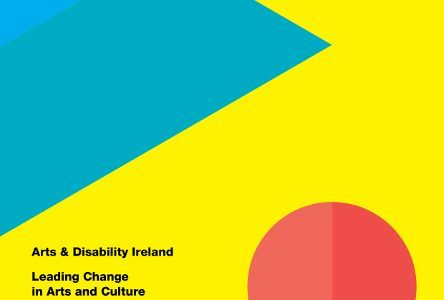 For the last 12 years in my role leading Arts & Disability Ireland I have worked with my colleagues and the wider arts sector to make the arts more accessible for people with disabilities. A large part of our focus in relation to access for audiences has been the development and provision of audio description and captioning for live theatre performances across Ireland. Audio description provides a live commentary via a headset of everything that is seen in a performance to blind and visually impaired audiences. Captioning provides the text of everything heard in a performance similar to TV subtitling via captioning units near or on the stage for deaf and hard of hearing audiences. As a visually impaired person myself, I first experienced audio description when I lived in England in the early 00’s. I remember thinking to myself, I want this in Ireland! And so began my journey as an advocate for audio description and later captioning. Normally, I use a monocular like this to see a performance and even then I can only focus on one to two actors. A deaf woman told me that seeing a captioned ‘Romeo & Juliet’ at the Abbey, came 17 years after she’d studied the play for her Leaving Cert. It’s probably not surprising if I tell you that I regard initiating the very first audio described performance at Ireland’s National Theatre, the Abbey in 2006, as one of my biggest achievements. Followed by captioned performances in 2007 and training a pool of 5 Irish audio describers and captioners in 2008/09. All recommended a decade earlier by the Commission on the Status of People with Disabilities. Conversely, my biggest disappointment since 2006 has been the slow take up of audio description and captioning by the arts sector and audiences with disabilities. Audio description and captioning peaked in 2014 with 23 and 27 performances respectively but declined to 11 each in 2016. Compare that to Scotland where this summer The Edinburgh Fringe & International Festivals will have 32 audio described and 127 captioned performances during the month of August alone. 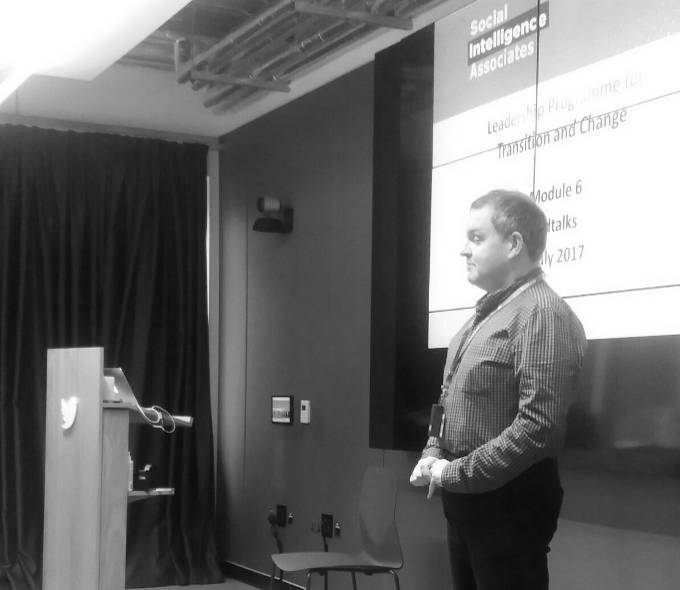 In many respects our strategy was to incrementally year-on-year secure more funding and reach more audiences. What Noel Whelan’s presentation clearly illustrated was that “more” isn’t a goal. However, on the positive, I realise ADI has the knowledge to set targets and cost them. For example, to provide 1 audio described and captioned performance for; the 33 productions programmed at the 2 Abbey stages in 2017 would cost €49,500 and the 16 touring productions supported by Arts Council in 2016 would cost €129,740. Within these figures are potential goals for our national cultural institution the Abbey, the Arts Council and the wider arts sector. But most importantly, goals ADI could advocate for. Denise Charlton’s presentation has been crucial in enabling me to take a fresh look at ADI’s vision for audio description and captioning and imagining it as a campaign that could transform how theatres across Ireland are accessible to audiences with disabilities. That said, there are still knowledge gaps. These include: analysis of ADI’s current research into how people with disabilities engage with arts and culture, research on the usefulness of current equality and human rights legislation to support change and identifying other countries where take up of audio description and captioning has been more successful, particularly in Scotland. Without doubt it will only be after ADI gathers the evidence and can demonstrate the impact that the campaign itself can really begin. 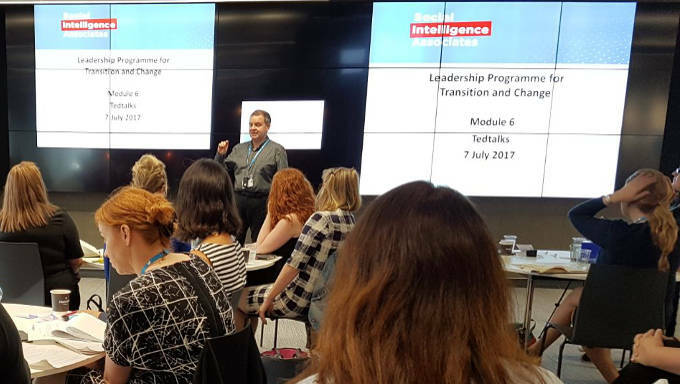 Pádraig Naughton speaking as part of his Leadership Development for Transition and Change programme with the Social Intelligence Associates, led by Denise Charlton and Dr. Gráinne Healy from Social Intelligence Associates. But will asking for ‘more’ in the context of access, ever be enough?